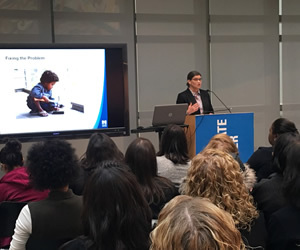 With support from the NYC Department of Education and private philanthropy, the Institute’s Initiative’s goal is to support a cadre of high-quality, exemplary early childhood program and network leaders in New York City, as well as to create a pipeline of teachers who are well-prepared to enter leadership positions and are supported once they enter those positions. We help participants to identify and meet individualized leadership development goals through a comprehensive model aligned to best practices in leadership and management criteria and tailored to the needs of each individual, including on-site visits to exemplary early childhood sites. 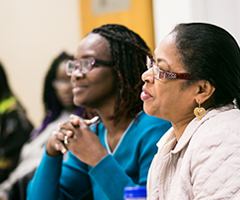 We provide a range of professional learning activities including seminars and conferences, study groups, coaching and mentoring, series-based training, and graduate coursework (including needs-based tuition assistance). We also provide career development support that includes career advisement and planning, and job search assistance. 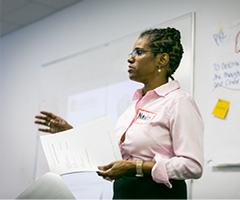 The Initiative coaches provide individualized, strength-based, reflective coaching to Early Childhood Leaders who have determined a need and want to meet their self-identified, competency-based professional development goals. All of our coaches are part of The Institute Coaches program. Leadership mentoring focuses on supporting the growth and development of the mentee. The mentor is a source of wisdom, teaching, and support as a result of years of experience successfully leading programs. The Children's Program Administrator Credential (CPAC) is a state-recognized credential that addresses the components essential for running early childhood and school-age programs. 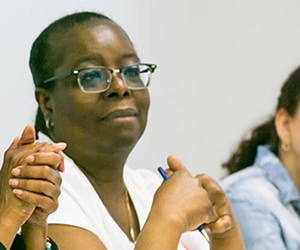 The New York Early Childhood Professional Development Institute developed a graduate level 18-credit program at CUNY’s School of Professional Studies, that leads to the state-recognized CPAC credential. 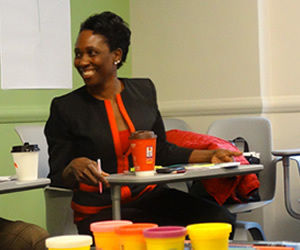 Members work with The Institute's Career Development Center in small groups and individually to work on strategies for defining career goals, finding desired positions and presenting their best selves in the interview process. 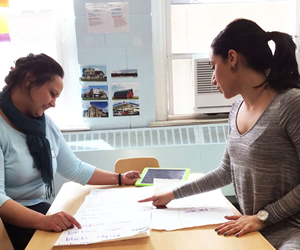 Learning Communities are brought together based on similar goals and needs to discuss goals and challenges and share strategies for strengthening programs. Groups meet regularly and are facilitated by professionals who have an expertise in the specified areas. View our current and past books on our Brook Group page. 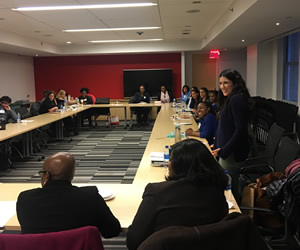 Throughout the year, a variety of events are offered to the membership to encourage networking, collaborations and learning experiences among peers. We offer a Speaker Series, Dine & Discuss evening and a myriad of workshops to inspire considerations on leadership in early childhood education.